The average recycling rate for U.S. communities is about 34 percent, leaving 164 million tons of trash to be buried in landfills or incinerated without energy recovery. And while waste management options vary in convenience, affordability, environmental protection and local availability, life cycle assessments have provided information regarding the benefits of each. A review of some of the waste management strategies available in the United States uncovers myriad reasons why recycling is more beneficial than either landfilling or incineration. Placing a newspaper or plastic water bottle in the recycling bin rather than the garbage can is the first step in the recycling loop. This simple choice reduces the amount of waste sent to landfills and incinerators and allows these materials to re-enter the manufacturing process. Producing new products with recycled materials conserves natural resources such as timber, water and minerals. In fact, recycling even 1 ton of paper saves 17 trees and more than 26,000 liters (7,000 gallons) of water. One of the leading concerns with landfilling and combustion of waste is the potential for air pollution. 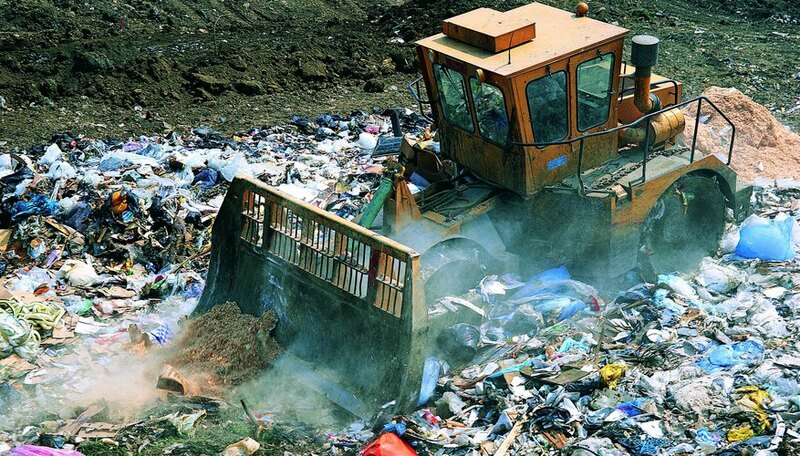 Landfilled waste produces methane gas, and incineration can release heavy metals and toxic chemicals into the air. Conversely, recycling can cut air pollution substantially. For example, manufacturing glass from recycled materials reduces air pollution by 20 percent and using recycled aluminum and paper can reduce air pollution by 95 percent when compared to production of these products from virgin materials. Manufacturing an aluminum can from recycled materials takes 95 percent less energy than creating the same can from virgin materials. And while some energy can be recovered from the methane gas released from landfills or through waste incineration, it is significantly less than the amount of energy saved through manufacturing with recycled materials. This still holds true even after accounting for energy usage during collection, processing and transportation to end-use markets for recycled materials. According to the national report "More Jobs, Less Pollution," achieving a national recycling rate of 75 percent in the United States by 2030 would result in an additional 1.5 million jobs. These estimates were reached by researching the number of jobs required to complete the recycling process compared to the disposal (landfilling or incineration) of the same waste. The findings indicate that waste disposal generates the fewest jobs per ton of waste at 0.1 jobs per 1,000 tons of waste, while recycling generates 2 jobs per 1,000 tons. Alcoa Inc: Recycling: Why Recycle? Natural Resources Defense Council: Global Warming: More Jobs, Less Pollution: Growing the Recycling Economy in the U.S.
Bratcher, Rory. "Recycling Vs. Landfills or Incinerators." Sciencing, https://sciencing.com/recycling-vs-landfills-incinerators-23884.html. 25 April 2017.